It’s been a little while since I have been inspired to really sit down and write something with the hopes of really getting my point across. Having said that, I feel compelled to address something that I feel very strongly about. The other day I shared something I found on Fox News. It was a story about a 5 year old little boy with #Autism who was denied lunch because his parents were a few days behind on the payments (see: FOX News: School Denies Autistic Boy Lunch Over Billing Issue). I had to ask myself, how does something like this happen? How can a grown person, look at a child and deny them food? Does this have anything to do with the child having #Autism or is this just the way we treat our future generation? The school calls is an oversight. Maybe it was, maybe it wasn’t. Regardless of what happened, I was really surprised to read some of the opinions from my readers. One in particular really rubbed me the wrong way. A comment was made that the parents were irresponsible for not paying the lunch bill on time and that somehow they weren’t making their child a top priority. I’m paraphrasing here, you can read the comments in question at the above link. It was insinuated that these were bad parents. Personally, I found this to be quite an arrogant thing to say. Not only did it show a complete lack of compassion but also a complete lack of understanding for what it takes to be a special needs parent. We also have absolutely no idea what else is going on in this family’s life. The commenter never stated whether or not they had any experience in special needs parenting and honestly, I doubt they do. To me this shows just how much work we, as a special needs community need to do in order to better educate the masses. Should the parents have paid the bill on time? Of course. However, there is an entire laundry list of past due bills on my desk. They are left unpaid for a multitude of reasons. However, none of those reasons have to do with being lazy, irresponsible or being a bad parent. I have no idea why these parents were behind on the bill but I’m willing to bet it didn’t have anything to do with bad parenting. What people don’t seem to get is just how all encompassing, special needs parenting is. Speaking only for myself, I don’t even know what day it is half of the time. We have been known to miss appointments, be late on school related bills and even live out of a laundry basket in the living room because the clothes never make it to the dresser. Does that make me a bad parent? If so, than I guess I’m guilty as charged. While I’m far from the perfect parent, focusing on my weaknesses ignores all of the things I do right. I would like to think that the things I manage to accomplish, far outweigh the things I drop the ball on, although it never feels that way. I can go days on end with only minimal sleep because one or more of my children can’t sleep. I can also drive hundreds of miles every week to and from appointments for my kids. Let’s not forget the hospitalizations and or medical/behavioral emergencies I deal with all the time. I know that these things are not foreign concepts to many of you out there as you experience these things for yourself. I could go on and on, listing example after example of how and why something like getting behind on the school lunch bill could happen. However, I don’t think it would make any difference to those out there casting judgement without any knowledge or first hand experience of what life can be like as a special needs parent. I’ll leave you with one final thought. When you feel the need to judge a special needs parent for something they missed or a mistake they made, remember that we judge ourselves harshly enough already. 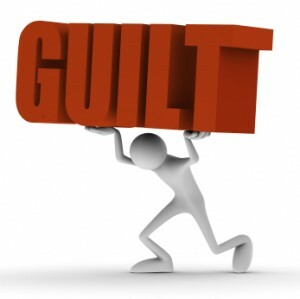 We don’t need any of your help to feel guilty, we do a more than adequate job on our own. This was posted via WordPress for Android, courtesy of Samsung’s Galaxy S III. Please forgive any typos. I do know how to spell but auto-correct hate me.